Crossing the half way point between Maine and Florida. Two days earlier I had looked at the weather and determined this was going to be a very tough day. 10-15 mile headwinds were predicted for the entire day. It did not happen. White bread and the bagels (thanks Jim) headed out in 49 degrees and overcast skies. It had rained on 10 of 11 of our rides and there were threatening clouds. A few drops but nothing you could call rain. 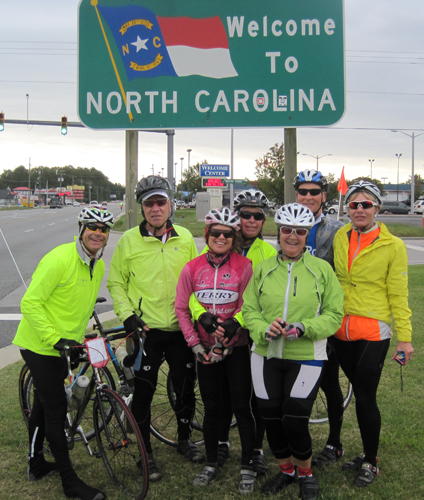 At the 60 mile mark, the sun came out, we stopped to have lunch since we were planning on visiting the Wright Brothers Memorial at Kitty Hawk. The wind had been bothersome but nothing substantial. When we turned east it was behind us and we were pulling 30mph on the flat road. Now that's my kind of wind. The Wright Brother Memorial was great. I had imagined that they were on the coast but their Kill Devil Hill is about 1/2 mile inland. The plane is quite large, bigger than I expected. The first flight was only 120 feet, a very short distance indeed. We were fortunate that wind kept the mosquitoes away. On the weather forecast this morning they included a mosquito index. Ugh. It was four stars today in Virginia Beach. Since the road has been damaged by Irene ahead of us, they are asking the seven fastest riders to ride like crazy tomorrow to make a ferry. All others will get bumps (rides) and they do not have enough vans to transfer everyone. Hopefully, we will have favorable winds. 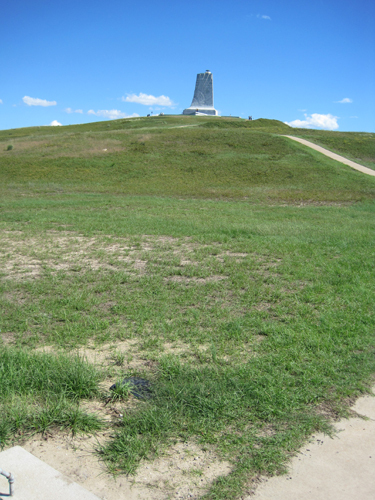 Little known fact: The name Kill Devil Hills dates back to the Colonial era. Shipwrecks were common at the time, and many of the ships were transporting barrels of rum. When a ship foundered, local wreckers would scavenge what they could of the ship's cargo before it sank, hiding their pilfered rum behind, and sometimes in, the same large sand dunes where the Wright Brothers would later perform glider tests, before flying their first plane from level ground nearby. Since "rum" was called "Kill Devil" by the English at the time the dunes became known as "Kill Devil Hills. 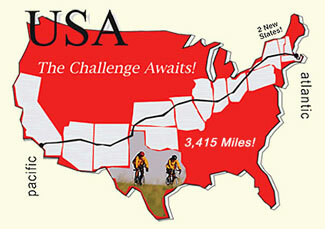 Our 10th state in 12 days of riding. Left to right: Jack, me, Beverly, Jim, Jan, Peter, and Amy. The Wright brothers came here in 1900, 1901, and 1902 to perfect their airplane. 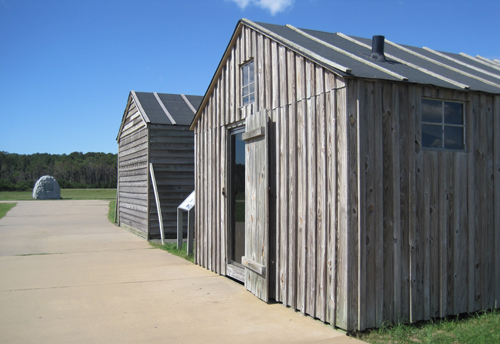 The Wright brothers living quarters and workshop. They consider them quite luxurious. The first flight was on Dec. 17, 1903. The rock to the first marker is 120 ft and lasted 12 seconds. They did four flights that day, all marked here. The fourth flight was 852 ft and lasted 59 seconds. Hope the rain gods and wind gods were in your favor today Al. Beautiful stretch of the journey I'm certain. Cape Hatteras Nat'l Seashore will call you back to visit again.